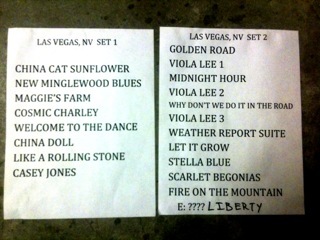 set list | Do You Hear The Music? Last night was one of those nights of live music you wish you could experience on a nightly basis. If you happened to be one of the roughly 500 people inside Vinyl at the Hard Rock Hotel in Las Vegas, you were treated to an evening of real rock and roll. Beware of Darkness, Tyler Bryant & The Shakedown, great to see these two perform again and wow some new fans. Rival Sons, seriously brought it last night, 10 minutes shy of two straight hours. A tip of the hat gentlemen on a great show! My review of Rival Sons will be in the next issue of Vegas SEVEN but until then, check out these photos from my friend, Erik Kabik. 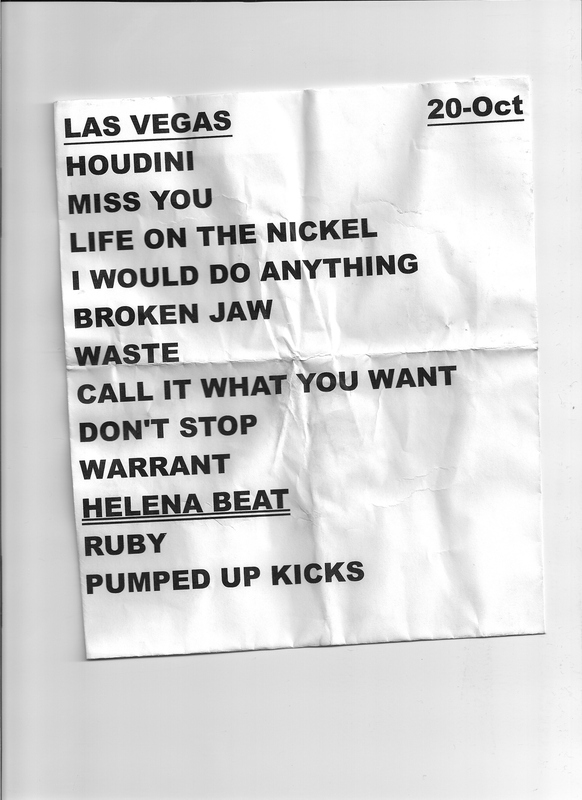 Here’s the set list from last night’s Foster The People show at The Cosmopolitan. Disregard “Warrant” and “Ruby” because unless I lost my hearing for a little bit, they ended up not playing them. It’s always a great day when you can see Ben Harper live and to catch a true rock ‘n’ roll show. Here are some photographs from the show over Labor Day Weekend at The Cosmopolitan of Las Vegas courtesy of Erik Kabik (www.erikkabik.com).